Milla Jovovich is an US actress, model, singer and a fashion designer. She has appeared in numerous science fictions and action films, The Fifth Element and the Resident Evil series, being the most noteworthy among them. Milica Bogdanovna "Milla" Jovovich was born on 17th December 1975 in Kiev to Bogic Jovovich & and Galina Loginova. At the age of 5, she immigrated to US with her parents. Jovovich attended public schools and mastered English after relocating in the US. Galina enrolled her in the professional actor’s school when she was ten years old. At the age of eleven, she appeared on the cover of Italian Magazine Lei and London Style Magazine, The Face. Soon after, at the age of 12, she left seventh grade and focused full time on modeling. The next year, she bagged her first ever professional role as an actor in The Night Train to Kathmandu. The same year, she starred in Two Moon Junction which was followed by contracts in multiple TV series- Married….With Children, Paradise & Parker Lewis Can’t Loose. Jovovich’s sprightly persona brought her breakthrough in the modeling career. She bagged the young model contracts and covers for Vogue and Cosmopolitan. Since then, she has featured in more than 100 fashion magazine covers. She appeared in Revlon’s ‘Most Unforgettable Women in the World’s’ advertisement. 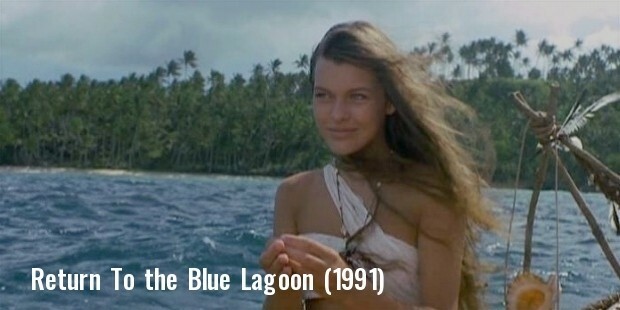 In 1992, Jovovich established her forte as an actor with the film Return to the Blue Lagoon (1991) when she was 15 years old. Over the next four years, she starred is films such as Kuffs, Chaplin and Dazed and Confused. After this, she took a break from acting to concentrate on music and returned in 1997 with the French science fiction film The Fifth Element whose worldwide box office gross went over $263 million. Since then she has starred in numerous films such as Stone, The Fourth Kind and The Three Musketeers. Apart from her single music releases, Jovovich has contributed tracks to many of her own films such as The Million Dollar Hotel (2000) and The Dummy (2002). In 2001, she lent her vocals along with other celebrities in the cover of ‘We are family’ to raise funds for the American Red Cross. 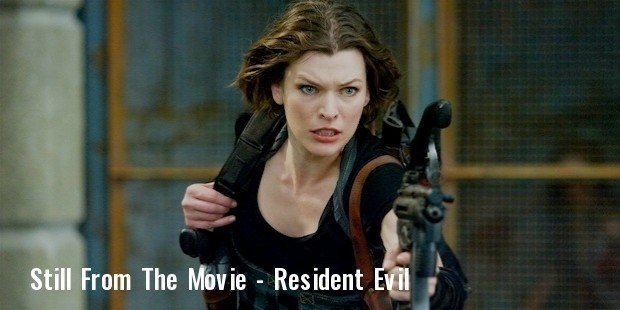 Milla Jovovich is currently filming for Resident Evil: The Final Chapter, believed to be the last film of the Resident Evil series, to be released in 2017. Jovovich was said to be designer Miuccia Prada’s muse in 2002 and Gianni Versace’s favorite model in 2003. Jovovich married Shawn Andrews in 1992, however the marriage was annulled as Jovovich was only 16 then. In 1997, she married French film director Luc Besson and divorced in 1999. Later, she married film director Paul W.S. Anderson in 2009. In 2007, their daughter, Ever Gabo was born. Their second daughter, Dashiel Edan was born in 2015. One of the best faces over the ramp and screens, Jovovich has often inspired admirations from several esteemed quarters of the media. A favorite of the eminent fashion designers, she has also been able to garner equal applause for her acting stints.